3 Ways That a Murphy Bed Will Benefit Your Life - More Space Place Our Murphy beds are custom-built to your exact preferences, ensuring a bed that is comfortable, personal, and tailored to your needs. Get in touch with the team at More Space Place Sarasota today! Space-saving and convenient, a murphy bed could change your lifestyle for the better. Our Murphy beds are custom-built to your exact preferences, ensuring a bed that’s comfortable, personal, and tailored to your needs. Read on to learn how a Murphy bed could benefit your life! Is exercise one of your New Years Resolutions? How about picking up on neglected hobbies? With a Murphy bed, any room can be transformed from a bedroom into a multipurpose room of your choosing. Create a dedicated yoga room, a dream craft room, or the perfect play space for your kids. Two: Your home becomes the perfect place for guests. Having guests over is delightful, but having guests over and no place for them to sleep? That’s less fun. Having guests stay overnight on your couch can be awkward and uncomfortable – for both you and your guest. A Murphy bed is the perfect solution! Transform any room into the perfect guest bedroom when you have family or friends over. Guest bedrooms are great – but do you really want an empty bedroom in your home for most days out of the year? That’s no problem with a Murphy bed. Transform your guest bedroom into a home office, craft room, or playroom whenever guests aren’t staying over. You have endless options. We custom-build your Murphy bed to suit your exact tastes and styles. From modern finishes to a rustic touch, we’ll give you a Murphy bed that’s both functional and stylish. Our Murphy beds also come in a variety of convenient models. For the book-lover, there are Murphy beds with built-in bookshelves. In need of a home office? We have a variety of Murphy beds that come equipped with desks and more. 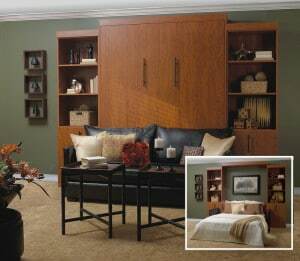 A Murphy bed is a great way to add space and function to any room. More Space Place Sarasota is happy to help you choose the perfect model for your home. 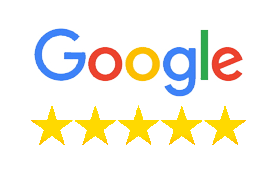 If you have any questions about selecting and installing one of our beds, we’re here to help! Get in touch with our team today. You can also visit our showrooms in Sarasota, Bradenton, or Port Charlotte!